The report enumerates the Marine Coatings Market share held by the major players of the industry and delivers a full view of the competitive landscape. This market is categorized into different segments with the comprehensive analysis of each with respect to the geography for the study period. Based on the historical study and estimates future prospects based on in-depth research, this report briefly provides the market trends, size, growth, and estimation for the period 2018-2025. Marine coatings are surface protectants used for commercial and military ships against fouling and corrosion. Marine coatings can be either epoxy based or polyurethane based. The commercially available varieties of marine coatings include anti-corrosive coatings, anti-fouling coatings, foul releasing, self-cleansing and self-polishing. They find application in coastal, containers, offshore vessels, deep sea boats and ice-breakers. Epoxy based marine coatings are the leading segment in the global marine coatings market. They serve as strong anti-corrosives. However, self-cleansing and self- polishing marine coatings are expected to now come up. 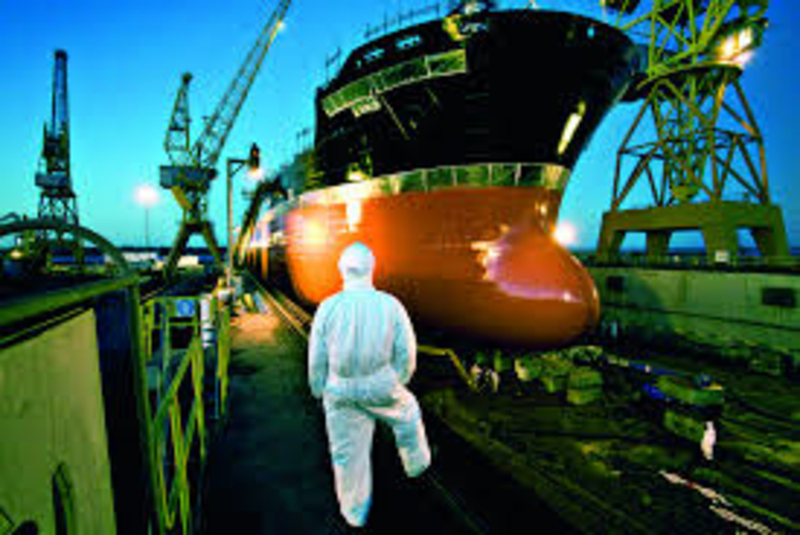 Coastal applications are the largest end-users of the global marine coatings market as attributed to dry-docking followed by deep sea applications. The expansion of oil and gas market is one of the key factors driving the growth of the global marine coatings market. Moreover there is sustained demand of marine coatings from commercial and military ships for their surface repair and maintenance. However, consolidation of shipping companies is a serious market constraint. Besides, the fluctuating prices of oil and gas can result in an inconsistent growth of the market. Stringent environmental norms are also expected to hamper the market growth. But to battle this, companies are now coming up with metal-free eco-friendly marine coatings. This step can help the global marine coatings market overcome the persisting constraints. - Chugoku Marine Paints Ltd.